In the space of 19 years as a New Yorker, I realized how an urban economy could dictate a career. I saw too many people working to live, rather than the other way around. People were abandoning their true aspirations to grab a job that would pay their exorbitant rents. Because of the inflated cost of Manhattan living, people were shackling themselves to jobs that made them comfortable fiscally but miserable spiritually. It was the rare city friend who was following a dream successfully. Weary of the urban work-for-life equation, I relocated to the Mid-Hudson Valley in the summer of 2001. 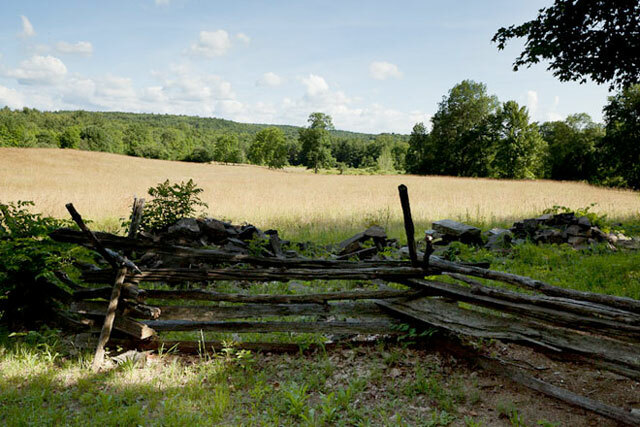 True, the economy up here had been anemic for some time, as industries like IBM downsized and other businesses like farming continued to fade. But the lower cost of living in this region actually liberates people from unwanted jobs. Most people I came to know enjoy hyphenate occupations: artist-masseur, caterer-craftsman and so on. While lucrative jobs here are in short supply, living costs are much lower than in New York City and people are able to cobble together careers for themselves that more readily draw from their talents. In this region, cottage industries are often the norm. Friends and neighbors may be working irregular hours, but they are doing what they love. In this realm, I also found liberation; I launched Jayboy Greetings, a greeting card business from my collage art designs, and for three years I sold them in stores locally, as well as Manhattan, Boston and San Francisco. I even had several designs picked up by a company that sold them nationwide. Challenging economic conditions require ingenuity. Mid-Hudson Valley residents have responded with a resurgence of independent businesses. Handcrafted wares or artisanal foodstuffs are displayed at farmer’s markets, gift stores, seasonal fairs and online. Local business development groups as well as Cornell Cooperative Extension hold seminars to teach cottage industry folks how to carve a niche for themselves through marketing of their unique products. Here is a survey of three Hudson Valley-based cottage industries that embody the Hudson Made aesthetic, both in their top-notch products as well as their passionate, responsible and sustainable business practices. Greentree Home Candle in Delhi, NY in the upper Catskills originated as a home furniture business, created by a husband and wife team originally based in Philadelphia. They realized that college art degrees (he in sculpture and she in painting) didn’t guarantee a livelihood. Once the furniture took off, they branched out into smaller accessories, notably candleholders and then candles. Greentree Home Candle inventory has evolved from one style of taper to more than 25 in 18 different colors. All candles are crafted from 100% beeswax. The pair relocated to the Hudson Valley, said co-owner Jennifer Green, recognizing it as a supportive place for small business for myriad reasons: affordable real estate, beautiful views and the concentration of “like-minded artists and crafts people in the area.” Ironically, the high price points of the artisan candles price them out of this region’s economy. Greentree, now a five-person business, wants to remain small. Furthermore, they are pledged to support other small businesses. Based in Kingston, NY, Black Creek Mercantile is the personal enterprise of veteran woodworker Joshua Vogel, 42, who relocated from Brooklyn four years ago to launch a business that makes sculptural woodwork and focuses on small pieces. They also produce cutting board oil that extends the life of their handcrafted cutting boards, a sideline that brings in a steady income. The decision to move to the Valley to launch this business was a simple matter of supply. 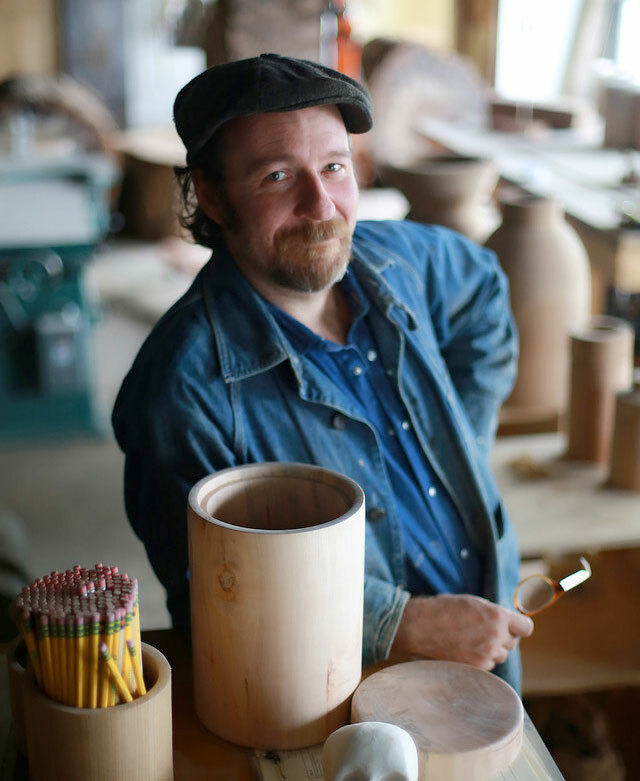 “The biggest thing as a woodworker at heart is the abundance of wood upstate,” Vogel said. “Every time there is a storm there’s a tree that falls over. I said to myself: I’m in the right spot.” Vogel also cites a furniture making tradition here in the Valley that goes back centuries. As a cottage industry, Vogel doesn’t have to create elaborate ad campaigns to promote product, most of which he sells online; he lets the work speak for itself. Pure Honey from Lucky Star Industries features prominently in Hudson Made gift sets. Lucky Star Industries Honey of Ardsley, NY, is a side project of veteran TV commercial producer Ed Fountain who has spent three decades creating special effects for clients like Dunkin Donuts, Denny’s and KFC. Fountain maintains six hives that annually produce between 200 and 500 pounds of honey. Originally, he would bring the honey to TV shoots and sell to his industry colleagues. But his supply was growing and he needed to move it more effectively. The notion of standing at a table of a farmer’s market weekly did not entice Fountain, so he had looked for other venues, even designing his own labels. Until now, Fountain has been content to keep Lucky Star Industries Honey as a sideline business. Output from six hives accounts for 15 percent of his income. However, within four years, he plans to retire from the TV business and the honey business will provide his sole income, which would be a sweet and welcomed change of pace.